← Tales from the City- The Penguincubator rediscovered at Charing Cross! 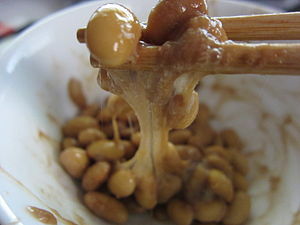 One of my favourite meals consists of a good cup of green tea, a dish of natto maki and seaweed. Normally I am too busy to look up from my chop sticks, but this I did. Wow talk about overkill. Above the little dishes of sushi on the revolving track was a massive hood. You’d expect something like this in a steak place or at least somewhere where a lot of grilling, frying, or smoke was involved. But no, with raw food on the menu and the odd tempura fry up, this massive kid was hanging in the air! I’m glad I don’t need this in my kitchen! Gallery | This entry was posted in Memories and musings and tagged chop sticks, Chopsticks, Cooking, Food, Home, Japan, Japanese cuisine, Natto, Nori, Photography, Raw foodism, restaurants, Sushi. Bookmark the permalink. 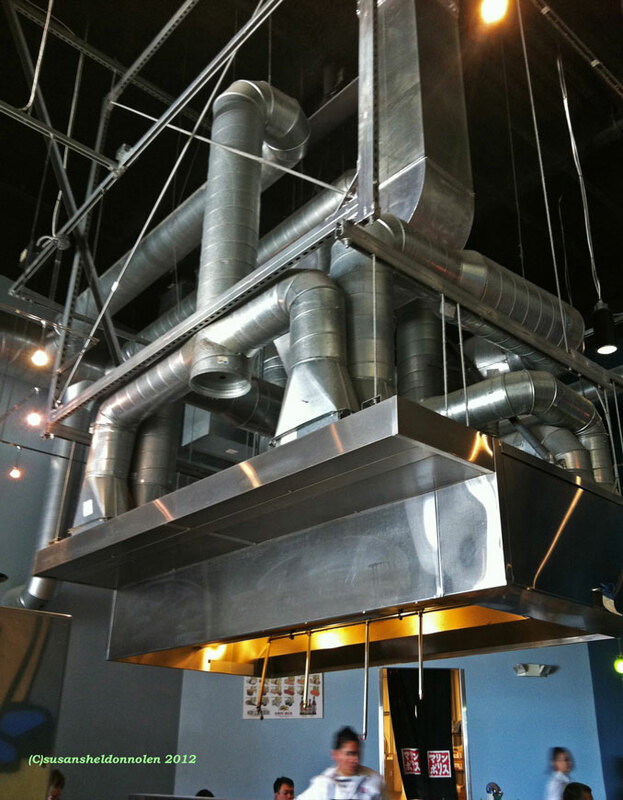 Over here, those hoods are usually required by code for restaurants, even if the place doesn’t need one. It’s ridiculous. Oh I can’t wait! I would love to read about your restaurant days! Don’t leave me sitting here hungry! It does sound like you used to own a restaurant! Do tell! and yes, that hood looks like sculptural art! Hi Tom, the hood just blew me away! I don’t think the photo really captured it’s true size! Just so glad I don’t have to ever clean it!